The Commerce Ministry says prices are 30-300% above production cost. Whichai Phochanakij, Director-General of the Internal Trade Department, who chaired a meeting of the working group tasked with studying the production cost of medicines and medical services, said 295 of a total of 353 private hospitals in Thailand had submitted production cost information for their medicines and medical services to the working group as of Thursday. That leaves 58 private hospitals that have yet to provide any information to the panel, mostly smaller hospitals. The government set an April 4 deadline for all private hospitals, regardless of size, to submit the data or face penalties under the 1999 Prices of Goods and Services Act. According to the act, those that refuse to supply information to the regulator violate Section 18 and are subject to up to three months in jail, a fine of up to 5,000 baht or both. Mr Whichai said the group studied the production costs of 10,146 items covering medicines, medical supplies and medical services, comparing them with appropriate cost structures available from a variety of sources, including importers, wholesalers, big drugstores, manufacturers, the Office of Insurance Commission, the Thai Life Assurance Association, the Thai General Insurance Association and the Comptroller-General's Department. Of the private hospitals that overcharge, the overcharge rate ranges from 30% to 300% above actual production costs. Mr Whichai said that once information is filed by all private hospitals and a cost structure analysis is conducted, the working group will propose solutions to the subcommittee handling supervisory measures for medicines, medical supplies and medical services, chaired by commerce Permanent Secretary Boonyarit Kalayanamit. Once endorsed by the subcommittee, the solutions will be submitted to the Central Committee on Prices of Goods and Services, chaired by the Commerce Minister, to approve the measures. Initially approved measures will be announced on the Internal Trade Department's website. Information on medicines, medical supplies and medical services from each private hospital will also be disclosed on the website. Mr Whichai said the Internal Trade Department will later call a meeting with private hospitals that exaggerate the prices of their medicines, medical supplies and services and ask them to adjust prices to align with production costs. If they refuse to lower the charges, the department will ask for cooperation from patients or those who are affected by the overpricing to file complaints with the department so that state units can proceed with legal action. 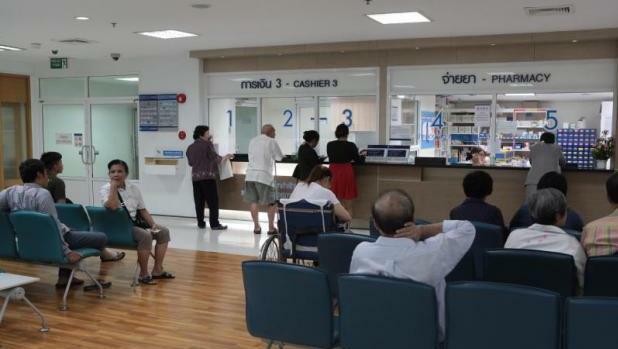 Why is Chalong hospital still not operational? Looking at the building, with all that not sun blocking glass. 100% greenhouse effect throughout the days. Not much of energy saving ideas about it in design and structure. Pff. Full power airconditioning needed 24 hrs a day. Private hospitals fill a hole in the 'medical market', as government hospitals are hopeless understaffed ( doctors and nursing, and accommodation wise too!). Number of doctors and nursing staff based on official number of Phuket thai inhabitants, not on the real number of inhabitants, as Phuket Government has no clue how many thai actually live on Phuket. A hopeless incompetent situation.